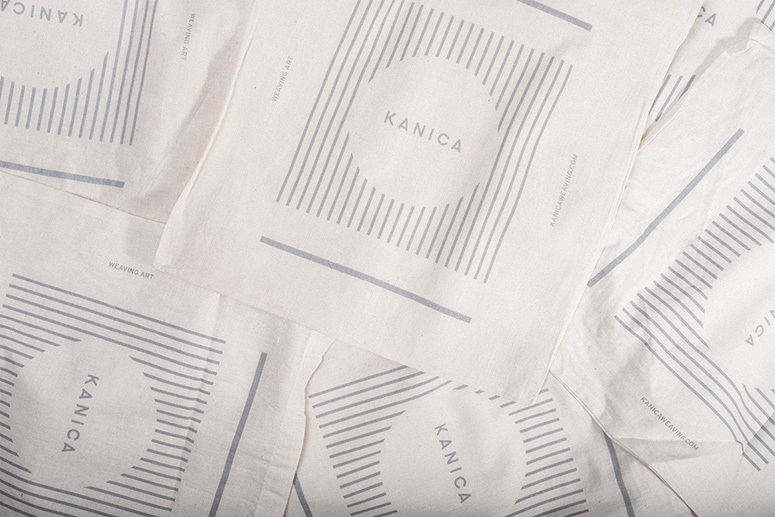 Laura Vargas Llanas is a Paris based artist and she's the creative force behind KANICA, a collection of handcrafted and limited edition weavings. 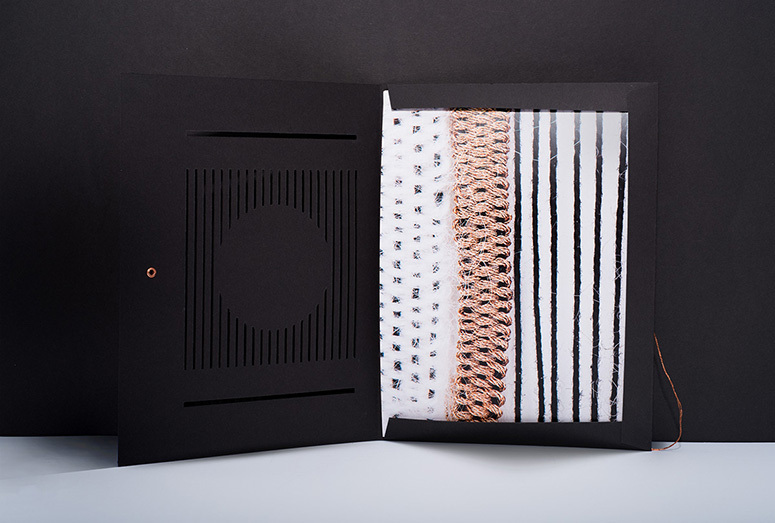 Colour, material and composition are woven into every piece creating original and contemporary designs that draw inspiration from Laura’s background in art. 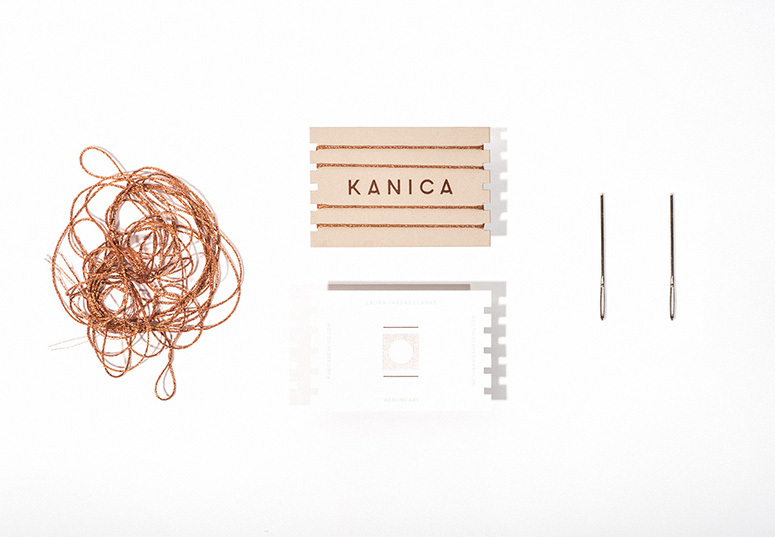 Each piece is produced on a simple frame loom, using naturally selected yarns and fibers, signed with a tiny copper thread and then custom framed in Rome, Italy. 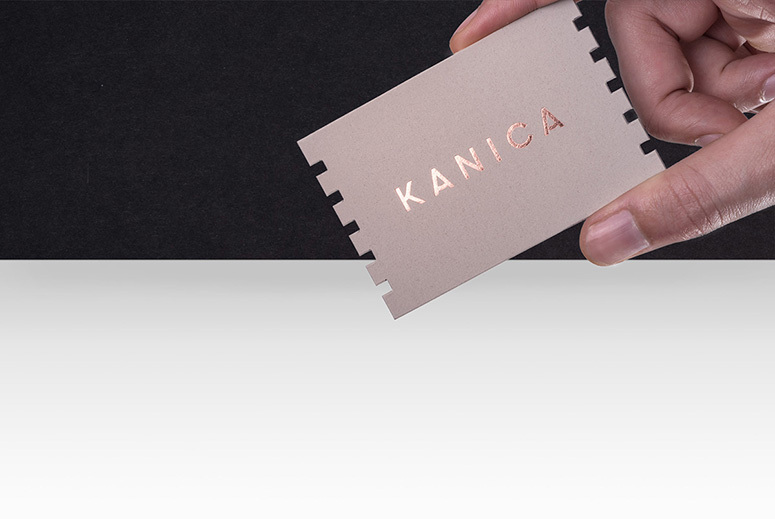 The name draws inspiration from the Spanish word Canica that means “marble - ball head”. 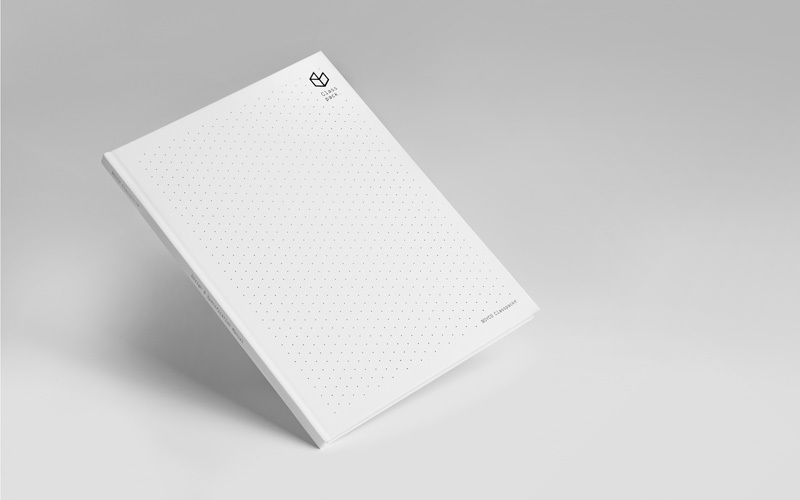 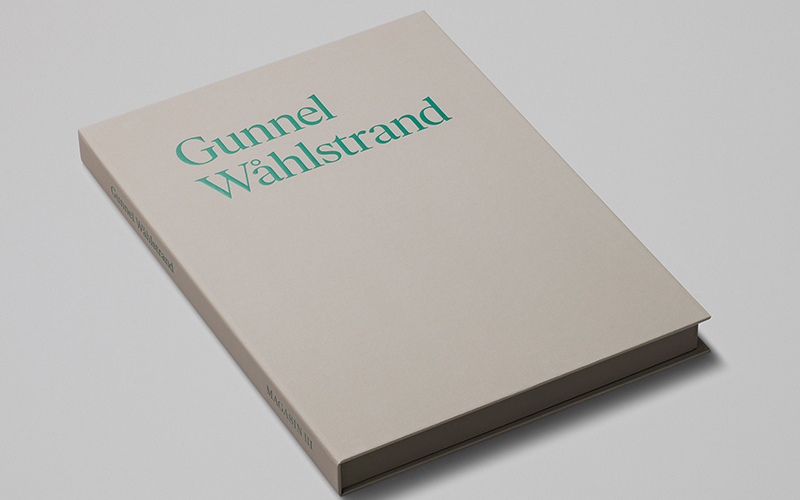 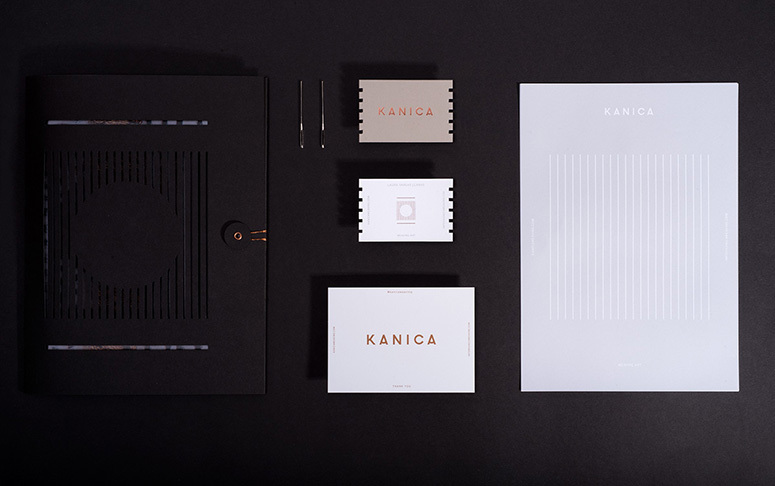 Thus we combined her multicultural ancestry and influences to develop a clean, conceptual and contemporary visual identity that evolved from the structure of her main tool, the loom. 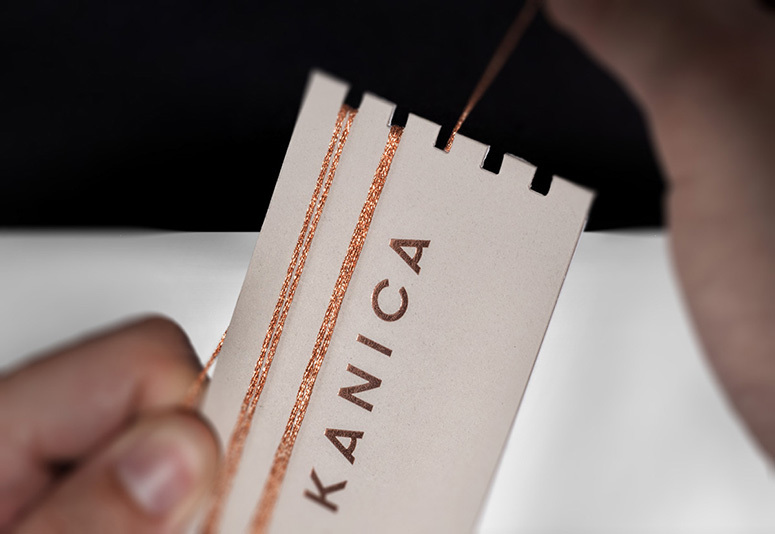 The visual language is based on the looms distinctive shape and all the compositions adapt accordingly. 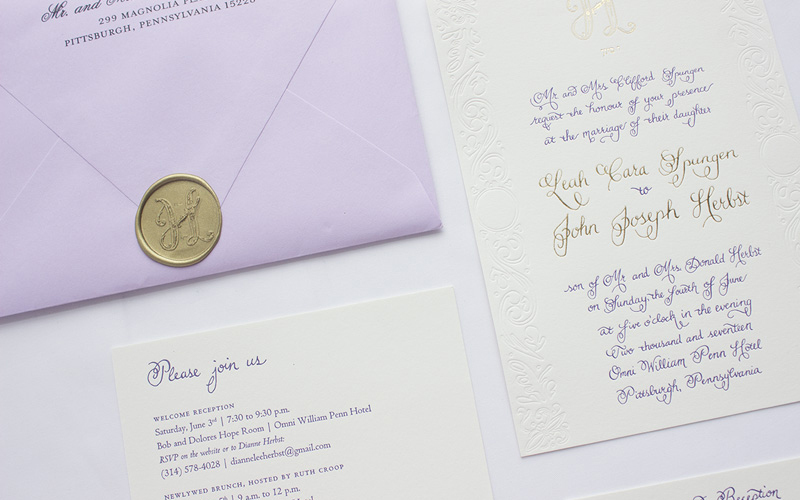 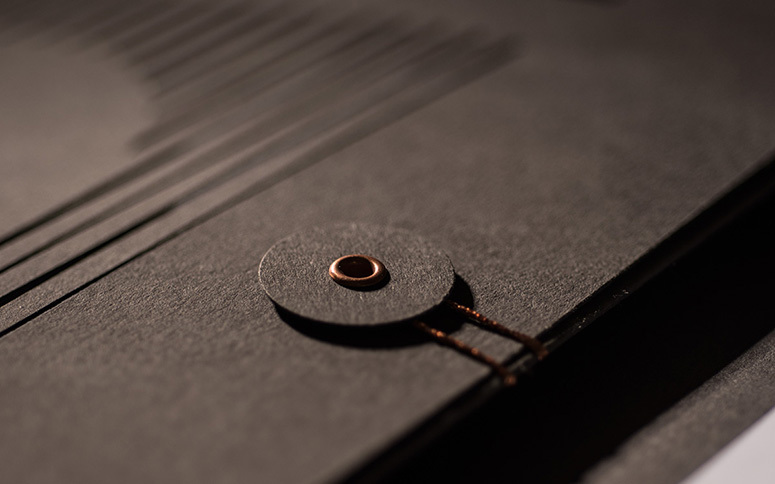 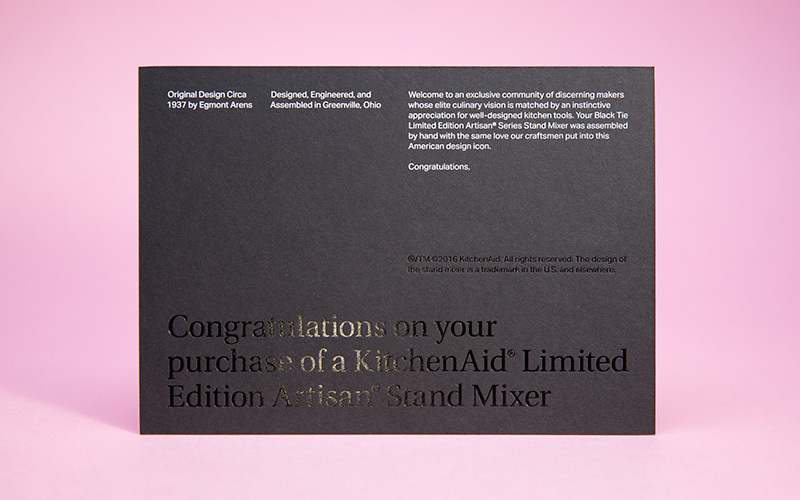 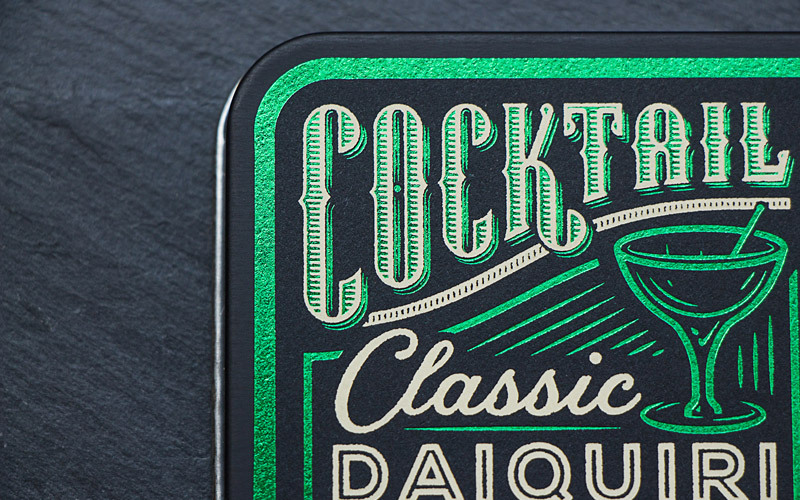 Through the choice of a paper range made from tiny upcycled potato waste, mostly driven by an earthly color palette with a contemporary touch of black and complemented by the copper foil and thread details, a visually beautiful and unique tactile finish emerges. 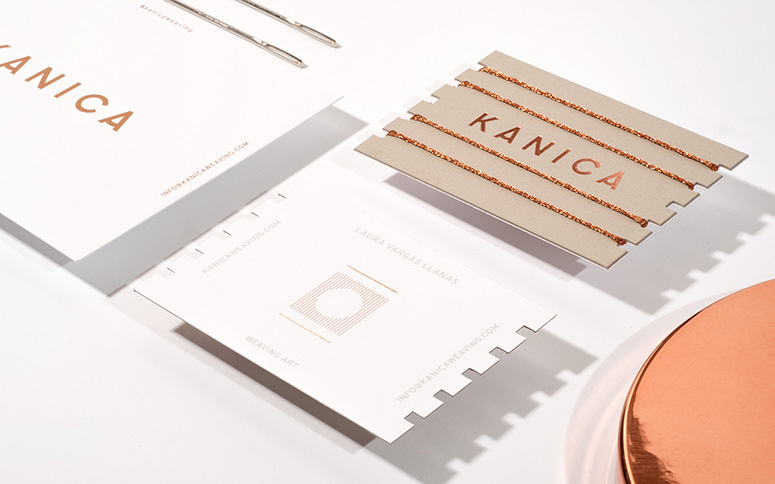 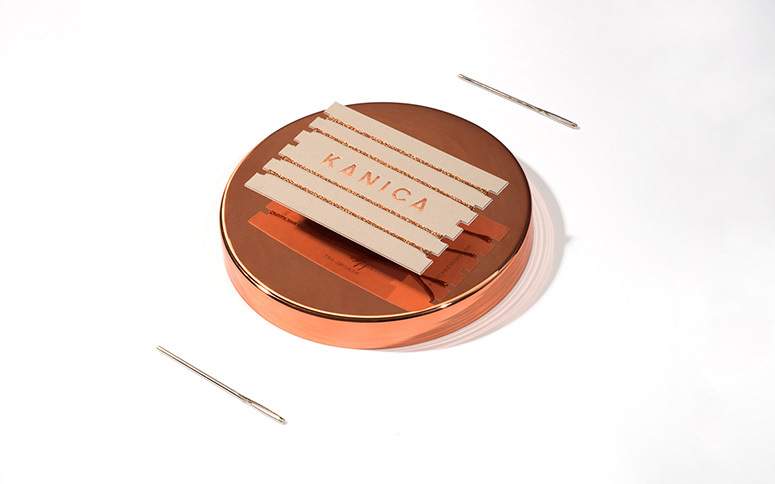 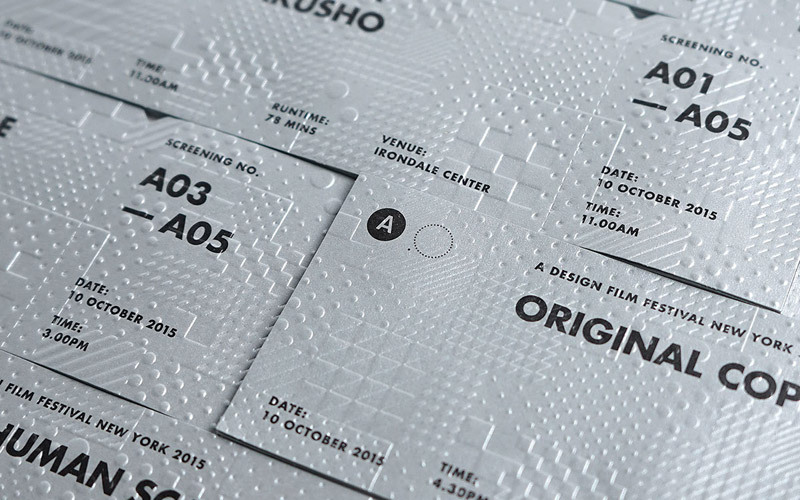 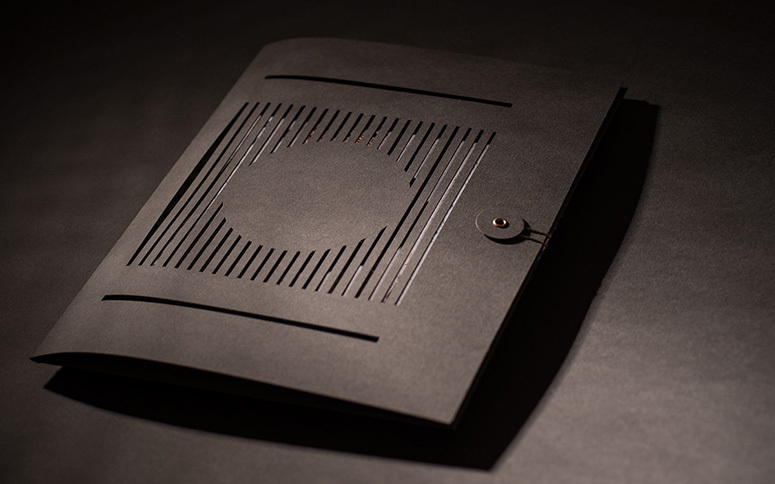 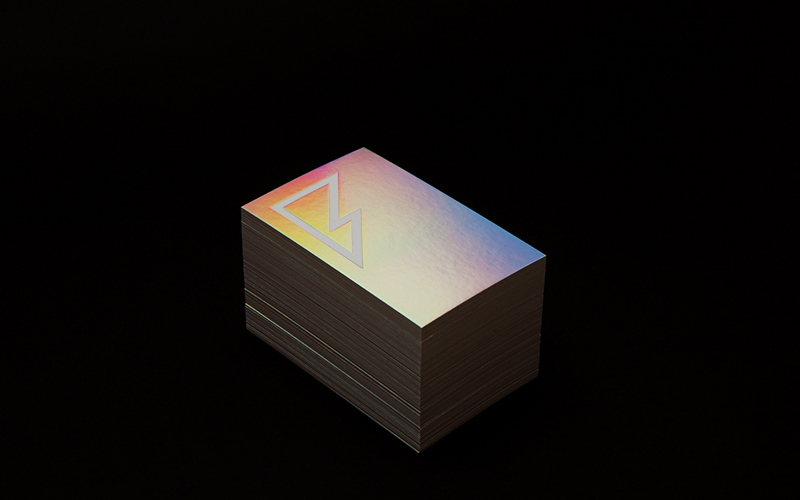 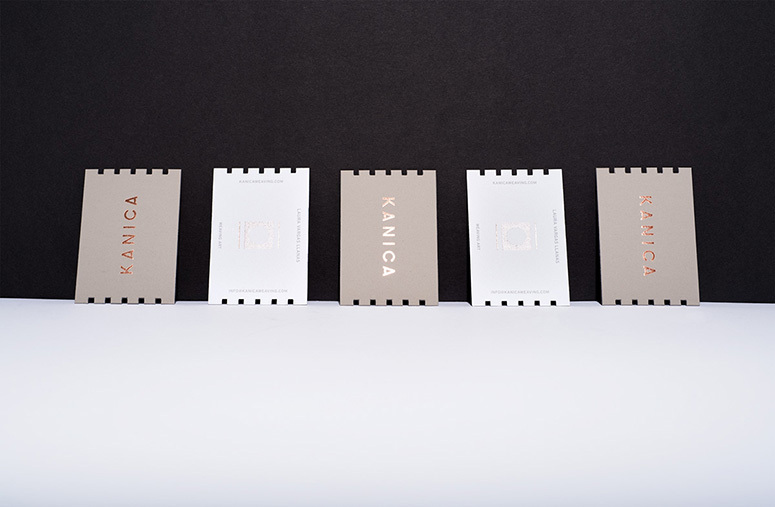 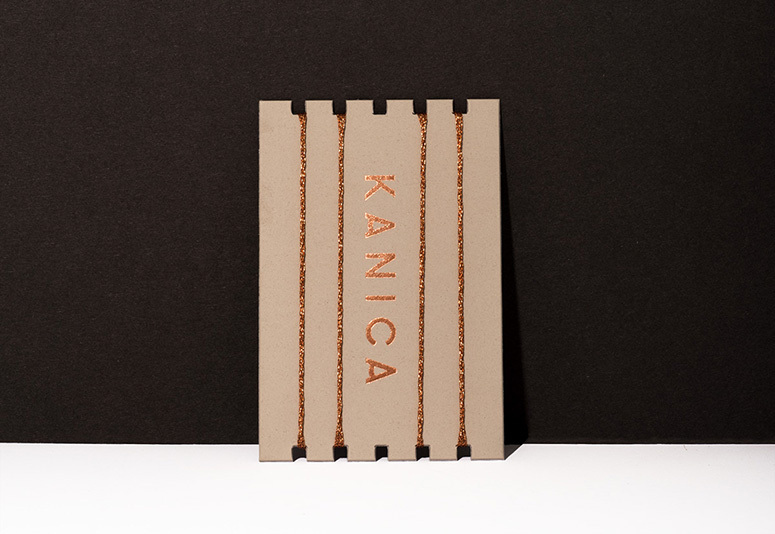 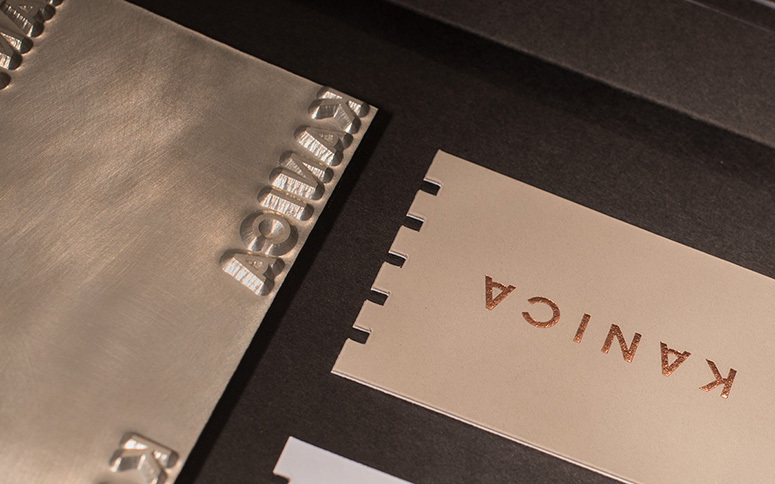 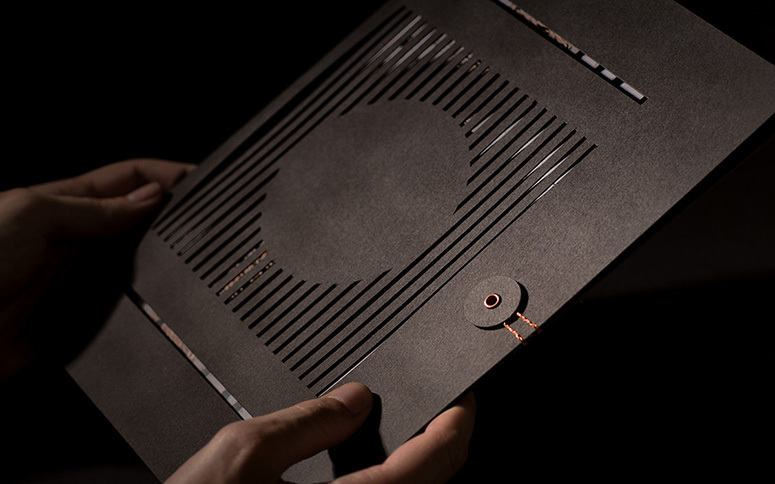 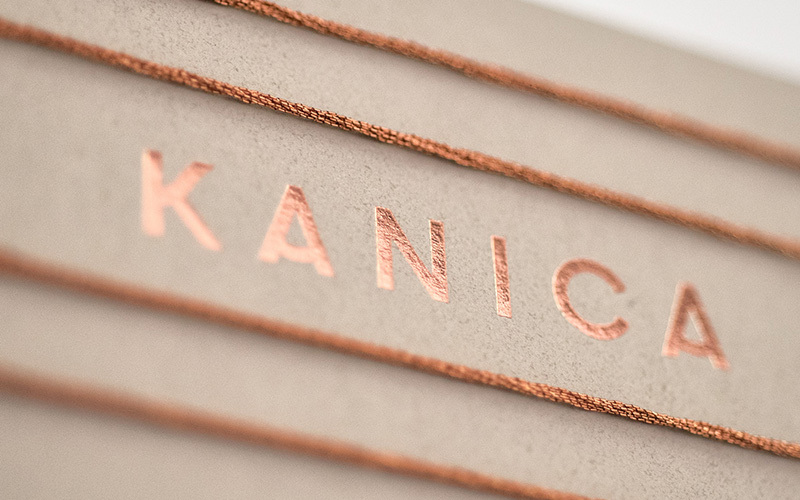 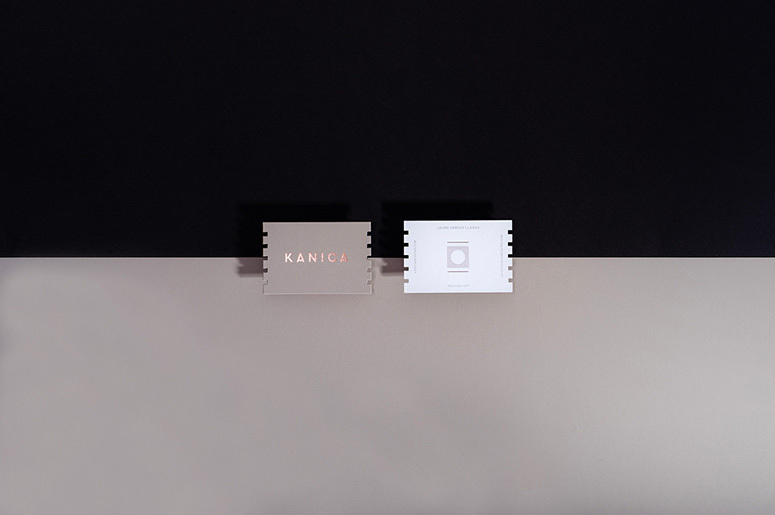 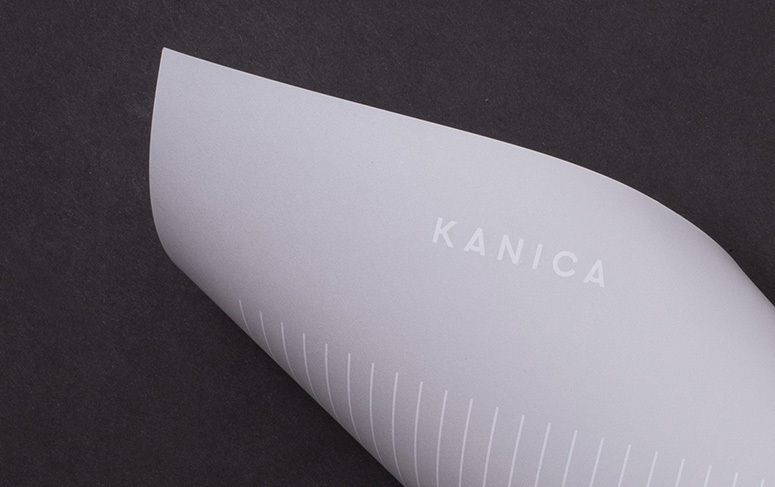 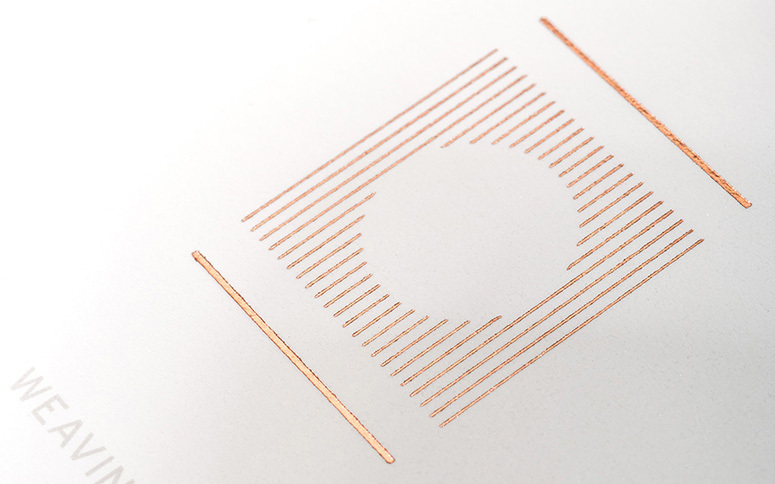 Die-cut to reference a loom, these business cards and folders for Laura Vargas Llanas's weaving collection KANICA represent artistic expression with meticulous craftsmanship.